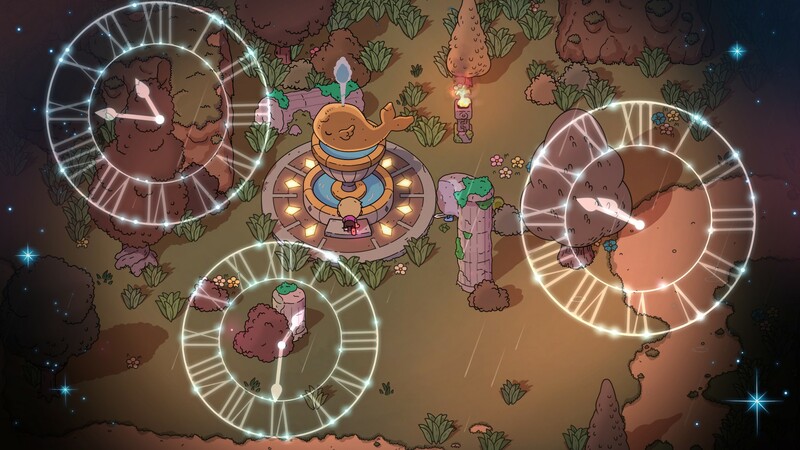 The Swords of Ditto is a charming RPG let down by its fumbled roguelite mechanics. A single playthrough can be an absolute blast, but its answer to victory can leave the experience feeling hollow. When completing a dungeon in an RPG, like The Legend of Zelda, you’re rewarded with not only whatever items you acquired, but also the assurance that they’ll serve you throughout the rest of the game. This could mean dozens of hours spent with the new goodies you worked so hard to get. The Swords of Ditto short-circuits this experience. When you complete a dungeon in, you’re rewarded with an item that’s (usually) immensely useful in both combat and puzzle-solving. Problem is, win or lose, it’s taken away from you within an hour or two. I’m getting ahead of myself. The Swords of Ditto is an absolutely gorgeous and obviously lovingly-crafted game. The art looks like it leaped out of a children’s storybook; one made by a twenty-something who has a beanbag chair in his home office. The animations are smooth as butter, and the visual clarity of enemies and their attacks is easy on the eyes. Combat is fun and easy to learn, and the simple dodge mechanic serves as both a speed boost and an invaluable tool for avoiding damage. The world design is almost as good as its artwork. The land of Ditto crumbles into ruin and despair as hundreds of years pass with Mormo undefeated, a testament to your failure to end her reign. Once you do conquer Mormo, the land shines with life once more, and the buildings and streets are restored as the denizens rebuild. The landscapes are beautiful and varied, and while the map design could have been better (I strongly disliked the one-way roadblocks scattered throughout), it’s a pleasure to explore. My first run in The Swords of Ditto was pure magic. Playing alongside my co-op partner, we solved puzzles designed cleverly for two, gathered items, and leveled up together. It felt like we were making great progress, and with a time limit of 4 in-game days before the evil sorceress Mormo took over the world, we couldn’t afford not to. One of my favorite mechanics comes in the form of stickers, which can be applied to various slots on the player’s randomly-generated character to customize their abilities. One allowed for a dash attack, another increased item drops from enemies, and some gave passive stat boosts. They’re all useful and easy enough to find that I felt like I had a good amount of choice in my build. Special NPCs also exist that will combine or trade for stickers of your own, in case you feel like you have a dud. We were told we had to spend our given time finding and destroying two magical “anchors” which granted Mormo even more power. Destroy them, and the final battle would be easier. Just one catch: to access each anchor dungeon we first had to find the necessary toy (that’s what Swords of Ditto calls its items) to complete it. These are their own mini-dungeons, full of puzzles and enemies which award a special item at the end. The first toy we acquired was a golf club, capable of sending enemies hurtling towards walls (and each other), but more importantly it would be needed to destroy the elusive anchor. Each time a Toy Dungeon is completed, the player can progress to the Anchor Dungeon. Our golf club allowed us to complete some fun and interesting mini-golf puzzles which involved hitting a ball across special tiles and into holes (on par). I was amazed at the creativity of these dungeons, which sported a pleasant mix of hand-crafted puzzles and randomly generated layouts. While some rooms felt pointless or were obviously cobbled together from random assets, these forays into the unknown were brief and rewarding enough to remain enjoyable. We destroyed the first anchor and- uh-oh, we were out of time. It was time to go face down Mormo while she still had one anchor remaining. I wasn’t hopeful. After barely scraping through Mormo’s tower, we actually did end up beating the boss on just our second run. I was surprised, but our items and stickers were strong enough that they carried us to victory. We defeated Mormo and saved Ditto the 100 year rule of the evil sorceress. Now what? Well, it turns out the game didn’t have a very good answer to this. There is a mind-boggling amount of repetition in a new run. After successfully defeating Mormo, the game feels the need to re-tutorialize everything. Puku, your annoying and for-some-reason-a-dung-beetle companion re-explains that you are, in fact, the Sword of Ditto. You have to re-acquire the magical kazoo that allows fast travel, then be told how it works. You have to immediately ascend Mormo’s tower for no apparent reason just to be teleported back outside, then go see the town elder before you can even begin your run. This adds up to about 20 minutes of wasted gameplay each time a new run is started. When I first “beat” The Swords of Ditto I was told to just.. go do it again. But why? Roguelites live and die by their sense of player progression. The Binding of Isaac has item and character unlocks, Dead Cells allows for permanent character upgrades, and Downwell is all about chasing a high score. A typical roguelite is either short and arcadey enough to warrant a total restart, or long enough to provide a system that allows for more concrete bonuses and new content in future runs. A sense of “one more run” is absolutely crucial to keep players engaged when they inevitably have to try again from the start. The Swords of Ditto fumbles these traditions fantastically. A typical run can take anywhere from 2 to 3 hours, with the first item generally being picked up around the 30 to 40 minute mark. This would be fine if the player could permanently improve their toolkit in some other way, but most of the progression systems serve only to improve the run you’re currently on. The only things kept between runs after defeating Mormo are your character’s level and currency. “Well,” you’re probably saying, “that’s exactly what you wanted, right?” Well, not exactly. The game has level scaling, meaning harder enemies spawn in place of weaker ones when you level up. In other words, when you finish a Swords of Ditto run, you’re rewarded by being weaker in the context of the enemies you now have to face. It’s not only the beginning that can seem repetitive. It’s the side quests, the Toy Dungeons, the dialogue, even the items you’re rewarded with (I got the golf club as my first item three runs in a row). This dreaded repetition began to rear its ugly head in only a few hours with the game, a huge stain on something marketing itself as a roguelite. Where a run of The Binding of Isaac awards an item within seconds, The Swords of Ditto asks for half an hour of diligent puzzle solving for the same. When a hard-fought victory strips you of your items, it can be hard to stay motivated during your next run. 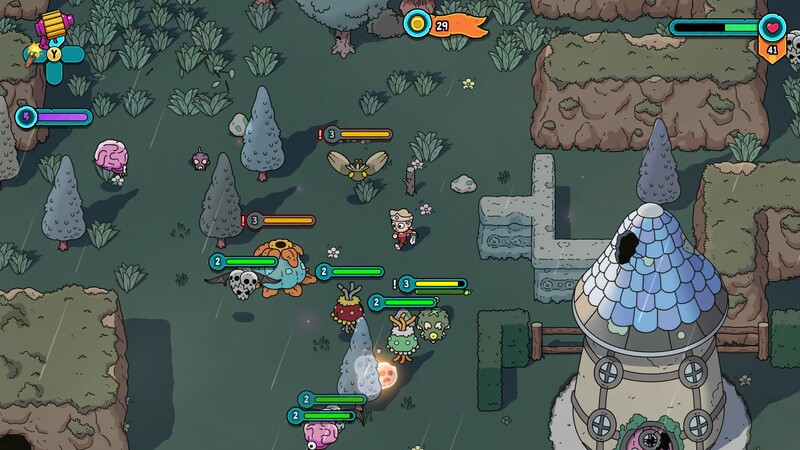 The Swords of Ditto is a charming RPG let down by its fumbled roguelite mechanics. It feels as though they were implemented as an afterthought, making what could have been a tightly designed co-op RPG a repetitive slog. 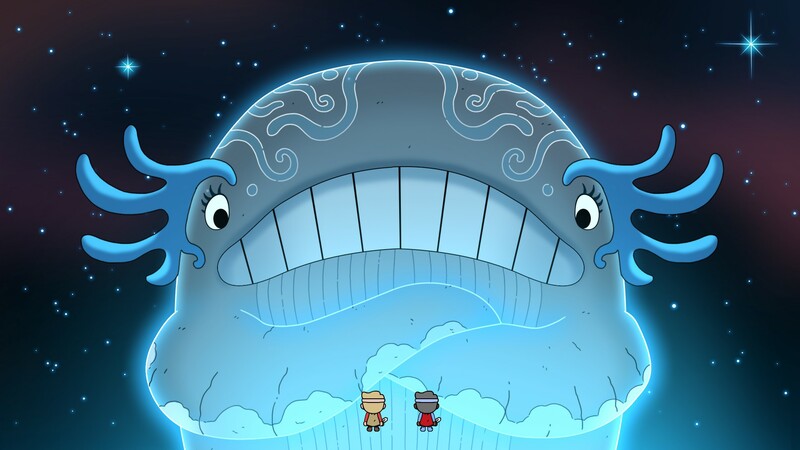 In bite-sized chunks, it can be mesmerizing: it has fun co-op, great designs, and beautiful animations. But to make meaningful progress means a slow grind over multiple overly-long playthroughs, which start to feel samey far too quickly. I like the concept; I just wish it had stuck the landing a little better. This review is based on the PC version of the game, which was provided to us by Devolver Digital.